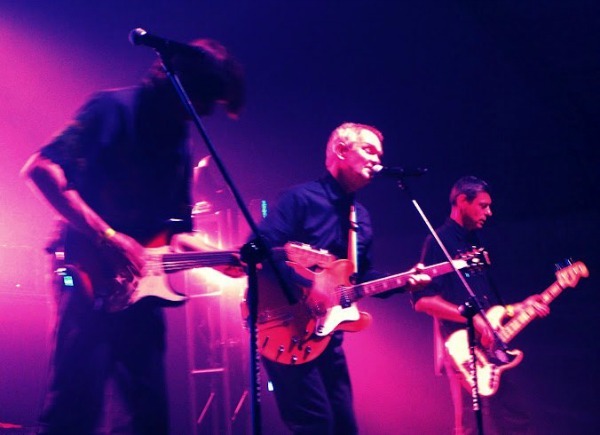 Reunited Creation Records standout The House of Love will follow up the just-released 3CD reissue of its classic 1988 debut album with a true surprise: a brand-new studio album that is being delivered this week “fully mastered and mixed,” according to the band’s official Facebook page. There are no details yet as to when the album will be released or on what label, but the record will be the band’s fifth overall and second since reuniting in 2005. The current lineup features original members Guy Chadwick (vocals, guitar), Terry Bickers (guitar) and Pete Evans (drums), plus new(er) bassist Matt Jury. That lineup recorded and released Days Run Away in 2005 and has toured sporadically in the intervening years, playing, most recently, at a festival in Poland last summer. This is such exciting news!!!! I feel tearful. The HOL have given me so much pleasure over the years. So beautiful to hear some new tracks!